You know about the benefits of bariatric surgery. You’re excited by the prospect of improved health and mobility, better sleep, less pain, lower likelihood of comorbidities like diabetes and high blood pressure. All of that sounds great. But weight loss surgery is still a fairly major medical procedure. You have concerns. You want the safest bariatric surgery options possible for your situation. Completely understandable — and that’s why we want you to know that Barix Clinics’ Forest Health Medical Center in Ypsilanti, Michigan has earned the CareChex® 2018 Patient Safety Award as the number one bariatric surgery provider in the United States. Forest Health Medical Center (FHMC) has provided specialty surgeries since 1997 and serves as the home of Barix Clinics. FHMC is an industry leader in weight loss surgery and provides laparoscopic bariatric procedures such as gastric bypass surgery, sleeve gastrectomy surgery, adjustable gastric band surgery, and revision / conversion surgery. FHMC scored a series of impressive wins in the Care Chex 2018 Patient Safety Awards. The medical center was also ranked number one in the state of Michigan, the Midwest regional area and the Detroit metro area in the bariatric surgery category. Interested in bariatric surgery? Learn more about the Barix Advantage now. Studies estimate that 78 million Americans are obese, and roughly 29 percent of those individuals are severely obese. Severe obesity is defined as a body mass index (BMI) greater than 40 or the individual is over 100 pounds overweight. A BMI over 35 can also qualify as severe obesity if it is accompanied by an existing comorbidity, like heart disease or sleep apnea. The health risks of obesity include a variety of unwelcome outcomes like high blood pressure, high cholesterol, diabetes, back and joint pain, sleep disorders and breathing problems, among others. Weight loss surgery is often the most effective way for a severely obese person to take off, and keep off, dangerously excessive amounts of body weight. But surgery can be complicated for the seriously overweight patient, so it’s important to have surgery with the experts. Under the right care, bariatric surgery is a safe, very effective way to lose 100 pounds or more. Studies presented to the American Society for Metabolic and Bariatric Surgery show that the complication rates are now very low. Is bariatric surgery for me? Consider that weight loss surgery is also a much better option than suffering through the pain and problems that accompany severe obesity, sapping away your quality of life and often leading to serious complications and premature death. The best way to determine if bariatric surgery is for you is to meet one-on-one with our bariatric surgeons. Learn more about your new life now. Can you explain the differences in types of bariatric surgeries? Gastric bypass (also called Roux-en-Y gastric bypass) surgery is a procedure that isolates a small portion of the top of the stomach from the rest of the stomach. A section of small intestine is then connected to the new stomach pouch, effectively reducing the amount of food a person can eat while promoting faster digestion and the ability to feel “full” more quickly. Gastric sleeve bariatric surgery is often used on patients too heavy for gastric bypass. Up to 80 percent of the patient’s stomach is removed and the remaining pouch is then reattached to the digestive system, creating what looks like a sleeve leading to the small intestines. This smaller stomach discourages overeating and helps the patient feel “full” faster, encouraging quicker weight loss. Gastric band bariatric surgery requires the surgeon to separate the top of the stomach from the lower part with a band, again creating that small stomach pouch. There’s not stomach removal or intestinal bypass in this type of surgery, but the patient should experience the desired effect of that faster, “fuller” feeling. 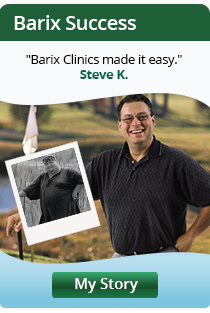 Barix Clinics is committed to providing the safest bariatric surgery options for our patients. We offer comprehensive pre-surgery counseling, insurance and financing advisement, caring staff, outstanding surgeons and post-surgical follow-up that ensures you’ll never feel alone. 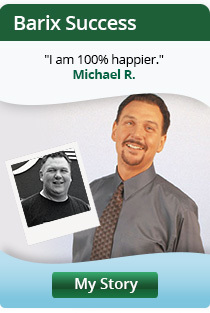 We want you to feel confident that you are getting the safest bariatric surgery available. Learn more now. I went from very unhealthy to healthy. I went from 270 pounds to 170 within 1 year. I want to get down to 135. It took many years to get to 270, so a year or 2 to take it off is fine, as long as it’s off for good. I had very high blood pressure and now it is normal, along with my cholesterol. My sleep apnea has improved. My diabetes is gone. My body does not hurt as much with 100 pounds gone. I can now go up and down stairs with barely any pain. Kathy I. was dependent on a variety of medications, suffered from depression and anxiety and was afraid to even leave her house before she had bariatric surgery. Now? I have lost almost 160 pounds and have gone from a size 30/32 to a size 8/10. I am no longer diabetic and my blood pressure is normal. I am off all of the medications that I took for both of these. I no longer suffer from panic attacks or agoraphobia. It has been 9 years since my surgery and life just keeps getting better and grander with each passing year. I am now 62 years old and this past summer, I spent three days at Kings Island and 3 days at Cedar Point as a member of the Central Ohio Roller Coaster Club. I can do so many things, that for years my life was closed to. Jeff K.’s marriage lacked intimacy, his relationship with his family was crumbling and his body was falling apart until he made the choice to get bariatric surgery. Not anymore. 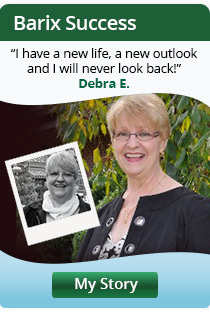 Read more success stories now. FHMC’s dedication to outstanding healthcare and best practices led to additional recognition from the CareChex 2018 Patient Safety Awards. The medical center was included among the Top 100 institutions in the nation in general surgery while placing in the top 10 percent in the Midwest and in Michigan in the same category. Forest Health Medical Center also earned placement among the top 10 percent of national, regional, state and market facilities in overall hospital care. The Patient Safety Awards are based on rankings compiled by CareChex, an innovative medical quality rating system designed to assist hospitals and health systems improve the quality of inpatient care and promote medical excellence. CareChex is an information service of Quantros, Inc. CareChex provides clinical, financial, and patient satisfaction findings to consumers, providers, and purchasers of U.S. medical care. Unlike other publicly available quality ratings, CareChex provides a composite evaluation of the quality of inpatient medical care incorporating five separate outcomes of care measures. For access to provider quality ratings, visit www.CareChex.com.